Pet safe, dog home remedies come in handy. You never know what might happen. Especially if your house is anything like mine. We have four dogs and maybe it's just me, but I like to be prepared. There is a difference between dog home remedies, and natural dog health care that you do on a continual basis to improve a dog health problem. So, home remedies for dogs will cover fix 'em right now situations. There are a few things that almost everyone will have at home. If not, pick these up at your local pharmacy. 3% hydrogen peroxide - to disinfect wounds, cut or scrapes. Can also be used to induce vomiting, if you suspect your dog has eaten something suspicious such as chocolate or other poison. Give one teaspoon ( 5 ml ) for every 10 lbs of body weight. baking soda - mix a little with a few drops of water and dab on insect bites or hot spots to reduce itching and inflammation. Can also be used in a bath of cool water ( 3 tablespoons ) to relieve itching and scratching. dosing syringe - used to administer liquid home remedies by mouth. tourniquet - to reduce blood supply in case of a serious deep cut. You never know when you might need some dog first aid. 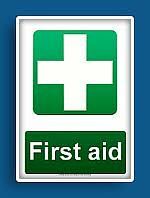 Then first aid tips given here are for common non life threatening situations. For anything that you consider an emergency, please take your dog to the vet. Here are the pet safe, natural home remedies that I keep in my Medicine Cabinet for Dogs at all times. - natural anti-bacterial to take the place of antibiotics for internal use. - topical anti-bacterial for cuts, abrasions, inflamed gums or runny, weepy eyes. - carminative to use internally for vomiting and car sickness. – antidiarrheal to absorb and eliminate toxins or poison from the digestive tract through the intestinal system. Use if suspected the dog has ingested something poisonous or toxic. – antiseptic for cleansing skin, and ears. – topical salve ( drawing salve ) for itching, wounds with pus, boils, abcesses. - crisis formula to provide a calming effect in a case of trauma. There is much to learn about dog first aid. So click on Pippin's picture to find out more.